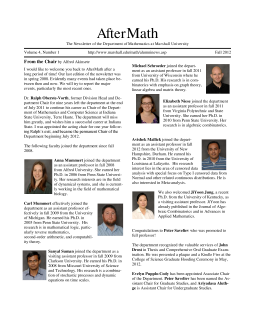 AfterMath is the Department of Mathematics alumni newsletter. Have a suggestion for a story in AfterMath? Is there something or someone you’d like to know more about? The Department of Mathematics is part of the School of Mathematics and Applied Informatics within the College of Science.